Packington’s Jubilee Celebrations | Packington Free Range | Born and reared outdoors. Always. 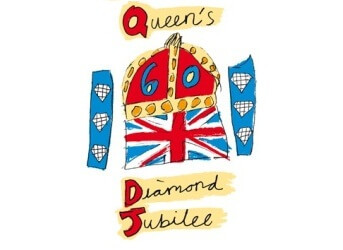 We had a fantastic jubilee weekend and it was great to see the whole community get together and celebrate with everyone getting involved in some way or another, whether running stalls and activities, helping with the setting up and clearing away of events, performing or just getting in the Jubilee Spirit. On the Monday 4th, we attended a Diamond Jubilee Gala Day at Holland Sports Club in Barton. The event was brilliantly organised with plenty going on; a pipe band, maypole dancers, charity stalls, dog agility displays, a climbing wall and lots more. We provided a hog roast and BBQ which was cooked by butcher Steve McKendrick, from The Butcher, The Baker, The Ice Cream Maker who did a great job and was really busy throughout the day. The celebrations ended in the evening with a beacon lighting and firework display which really made the day one to remember. On Tuesday 5th we teamed up with Coates Butchers to provide a hog roast for winners of the Burton Mail Competition which ran earlier in the month. The winners – a community street party at The Grange in Burton on Trent – said the day was a huge success and commented on how much everyone enjoyed the hog roast – some of them even said the crackling was the best they’d ever tasted! Did you enjoy a Packington BBQ over the jubilee weekend? Let us know, we’d love to see your pictures!